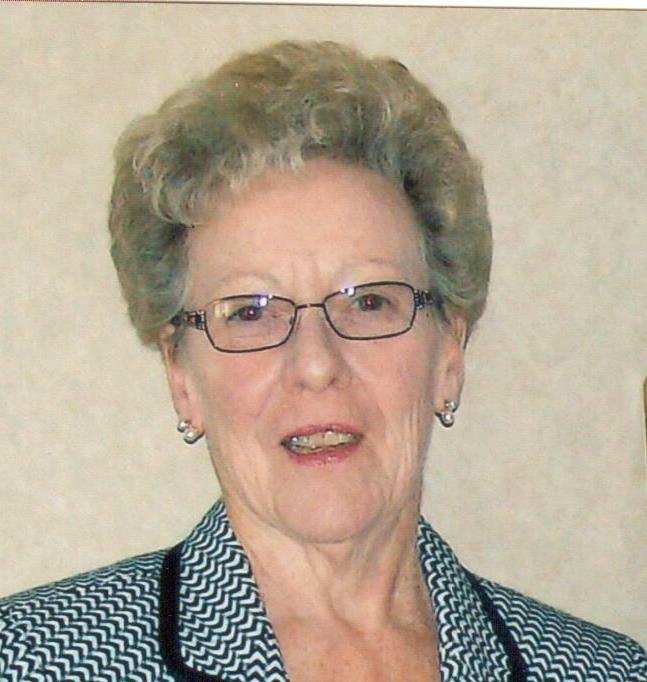 Marjorie Jane Longbons, 78 of Albion, passed away April 11, 2019 at Deaconess Gateway Hospital in Newburgh, IN. She was born September 16, 1940 in Clay City, Illinois to Claudie Earl and Sara Mae (Tetrick) Speir. She married Cabot Longbons on November 23, 1968 in Albion, IL and he preceded her in death on September 19, 2007. Marge was a teller at the Citizens National Bank of Albion where she worked for 26 years and continued part time after retirement. She enjoyed gardening, traveling with friends, watching traffic from her garage, and following her granddaughter to her many horse-related events. She was a member of the VFW Auxiliary and Women of the Moose. Marjorie was proceeded in death by her husband Cabot Longbons, step-son, Bruce Longbons, her parents Claudie Earl and Sara Mae Speir, a twin sister Martha Johnson, two brothers Lawrence and Fred Speir and a grandson Richard Longbons. She is survived by her daughter Sara (Rodney) Hazel, of Albion; Step-daughter Carolyn (Dave) Frisch, of Carbondale; granddaughter Brooklyn Hazel, of Albion; grandsons Greg Longbons, of Olney, Scott (Paula) Frisch, of Carbondale and Brad (Patti) Frisch, of Rockford and three great grandchildren; Five sisters, Mary West, of Albion; Anita (John) Downer, of Princeton, IN; Marilyn Longbons, of Albion; Nancy (Greg) Nelson of Albion, and Norma (Dave) Buckles of Albion; and three brothers, Leroy (Martha) Speir of Albion, Neal Speir of Albion, and Howard (Janette) Speir of Pegram, TN; and several nieces and nephews. Funeral services will be held Monday April 15th at 11AM at Nales Funeral Home in Albion with David Shain officiating burial will follow in Graceland Cemetery. Visitation will be 5 to 7 pm Sunday April 14th at Nales Funeral Home. Memorials may be made to the VFW Auxiliary in Albion and will be accepted at the funeral home.